One October morning in 1932, Vicente Sorolla entered the white house on the hill and was never seen again . Now, Detective Dori Orihuela helplessly witnesses his brutal murder in her nightmares. Settling into a 120 year-old Edwardian mansion, Dori restores her dream home while recovering from a bullet wound and waiting to go back on duty. But then one afternoon, Vicente materializes out of her butler’s pantry and asks her to find a woman named Anna. Dori wonders if she’s not only about to lose her badge, but also her sanity. Dori and Vicente’s unlikely friendship takes us back to the waning days of Prohibition in San Diego and the dusty barrio of National City. 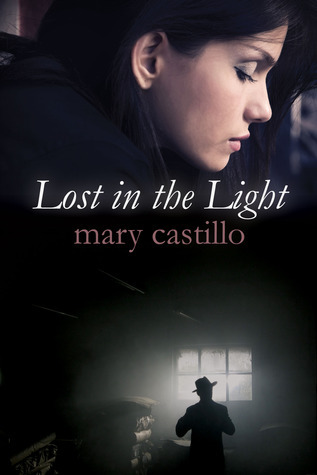 Mary Castillo’s new novel, featuring the wild Orihuela family that first delighted readers in Names I Call My Sister, weaves romance, history and a mystery into a humorous, touching and unforgettable story. This was a really sweet story, I do love ghost stories which are centred around history and emotions rather than spirits shouting ‘boo’ at the unsuspecting. Dori is a police officer at her very core, so when she’s on administrative leave following a shooting – she has to deal with other parts of her life and what kind of person she is without a badge. When a ghost appears in her new house, it becomes clear that she’s a woman of integrity and loyalty. They both share these traits and strike up a slightly unusual friendship, leading Dori to start looking for the woman that Vicente left behind before his death so that he can rest in peace. This story flits back and forth between present day, where Dori is trying her best to forge meaningful relationships with the people around her, and the 1920s-30s where Vicente was trying his best to be the man that the woman of his dreams needed him to be. I don’t want to give anything away but if you’re like me and quite particular about the ending of ghost stories – rest assured, this has a very satisfying ending! It’s a very touching, human story which was made all the more moving by the author’s own narration. Nobody knows better than the author how they want their characters to speak, though it can be a risky manouvre if they don’t have the voice talent to back it up – not an issue in this case! Castillo brings all her characters to life, which elevates the story to something wonderful. My favourite character, as voiced by Castillo, has got to be Dori’s grandmother – the sassy but proud lady who is scared of becoming a burden to her family in her old age. Have you read/heard anything else by this author?